For some families, young professionals and many people in between, modern day life is incredibly fast-paced. There’s so much going on outside the home that, by the time we get through the front door in the evening, the last thing we want to do is cook a meal from scratch. As a solution, leading convenience retailers, SuperValu and Centra have developed a range of convenient evening meal solutions that are leading the way in taste, price and choice, explained Ciara McClafferty, Trading Director, Musgrave. “Consumers are savvier about food than ever, continually demanding innovation, value and variety but not wanting to lose out on quality and nowhere is this more evident than in the ready meals category”, said Ciara. Centra’s ‘Make a Meal of It’ and SuperValu’s ‘Prepared for You’ ranges are already available in stores across Northern Ireland. “We are delighted to be able to provide quality, market-leading on-trend ranges that give us real standout in the evening meal solutions marketplace. 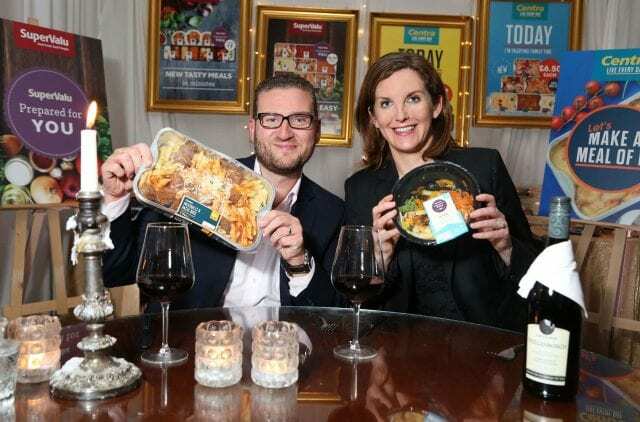 It is our ambition for SuperValu and Centra stores to become the number one destination for quick and easy meals that families, young professionals and the rest of Northern Ireland will love”, commented Ciara. With increases in travel, customers are looking to introduce new tastes into their evening meals, whether that be a Spanish Paella or even a new twist to an old traditional favourite. Delivering what customers want is really important to SuperValu & Centra. “We have benchmarked ourselves against market leaders in this category with a mission to expand our breadth of range, constantly review quality and bring innovation. “The growing hunger for convenience will continue to drive the appetite for quick and easy meal solutions and our excellent family meals and meals for one are raising the bar across the category”, said Ciara. The exciting new range was officially unveiled at an event at Harlem, Belfast in August. Guests were invited to the launch of a new menu ‘with a twist’ – the twist being that the meals served up were from the new SuperValu and Centra evening meal solutions ranges. Over 90% of the those surveyed on the night said they would have been prepared to pay between £10-£15 for their main course; whilst 80% rated their meal as very good or excellent. The Centra ‘Make a Meal of It’ and SuperValu ‘Prepared for You’ ranges cater for a wide range of tastes and there is really is something for everyone. “Our meal solutions include a range of family meals like Chicken Pasta Bake, Chicken Korma, Chicken Jalfrezi, Paella and traditional meals such as Beef Lasagne, Meatball Pasta Bake and Cottage Pie. All designed to meet the needs and missions of our target consumer segments: ‘Quality Cooks’ and ‘Quick and Easy Families’. “New features include the addition of ‘Premium Family’ and ‘Healthy Meals’ to bolster our health credentials. The ‘Premium Family’ range includes SuperValu ‘Prepared for You’ Beef Brisket, Chicken Mozzarella and Turkey & Ham. Our low in fat, high in protein ‘Healthy Meals’ contain less than 450 calories and are one of your five-a-day vegetable portions. “Our meal for one ranges in SuperValu and Centra include Beef Stew, Beef Teriyaki, Chicken Korma with Rice and Chicken Curry, to name a few”, said Ciara. It isn’t just taste where the Centra and SuperValu meals are proving a hit with consumers, concluded Ciara.